Press freedom advocates and journalists described a Friday report of Capitol Police manhandling and shoving reporters in the Russell Senate Office Building as "bizarre" and "disturbing," with some calling the altercation an incident far more likely to take place in a totalitarian regime than in a democracy. That’s how it all starts in OTHER countries. A push here, a shove there, a little pepper spray and a little clubbing. Next thing you know you are in handcuffs and getting a free night at the precinct hotel. Then comes the time in every third world, totalitarian country, when you have to have your own group protection to offset the over reach by authorities. Militia, street gang, mercenaries, etc. The Capitol Police have been reduced to mob goons commanded by an organized crime syndicate masquerading as the US gubmit. These atrocities reflect the leap from Josef Goebbels propaganda to Heinrich Himmler persecution and worse. This is just one more manifestation that we live in age of global humanity where the Democratic Idea (never practiced fully, but at least aspired to by many) is now being “rendered quaint” as one its enemies said a couple presidents ago… Democracy is in retreat around the world and a new dark age is descending. Recall that the last dark age lasted how many hundreds of years with how many heads being lopped off in the name of Christ ? There has never been a real “Officer Friendly.” Copism, policist behavior is its own “ism/ist.” It is all about being let free to do whatever their nasty inner selves have always wanted to do to those who can’t fight back. Here is a report of Sen Menendez “threatening to call police” on reporter for wanting a straight answer on the Green New Deal from DINO creep menendez, only days before this incident of police abuse. …apologies for the faux-news source. There have been so many malignant consequences from the Ginger Pig’s extremist, violence-prone, and narcissistic mental behaviors, of which this example is only one. From his pathological lies, to supporting Saudi and israeli racism/murders, to inciting domestic violence against numerous groups and people in his “trumper youth rallies” that our republic has suffered grave harms from his insane and extremist influence so far…only 2 years in. We will be lucky to survive this hideous creature!! That sounds dire enough to scratch out a screen play for it. To reassure ourselves that something is drastically wrong with attitudes of our police forces, just watch a few youtube arrests of unarmed perps. Can we imagine it taking ten or fifteen armed soldiers, locked and loaded, converging on a lone unarmed enemy soldier? Well our police officers must be cowards. This ten on one stuff seems way over the top. If this is their mentality over a single bad guy, what do we look forward to if protest GROUPS converge on government folks? What is the response of DC/Capitol Police, according to its statutes and codes under the formal conditions of a “National Emergency”? 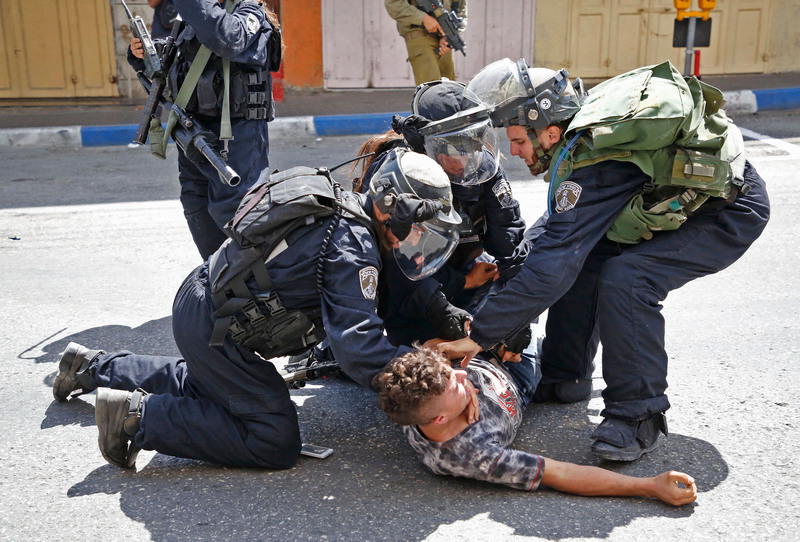 Sadly and with little public input or reporting, many US police departments, including the Capital Police have been trained in israel using the obviously brutal methods we see today. Among the trainees in the latest trip is a Washington D.C. police commander, over the objections of a D.C. city councilmember. This time it is in the name of Capital. I think we can assume that if the dem’s had not taken the house, lawlessness would overwhelm us within the next two years. If that’s a real thing we should be scared shitless. I notice that tweet linking a story from RawStory. So now Raw is a champion of free speech and journalism? I had to laugh. See, this is the problem. If we operate based on power rather than principle, we cannot have anything vaguely like democracy. Oh, but we can have Kabuki Democracy. If that’s OK with everyone? It would seem that aside from young newly elected members, the pressure tactics of Bannon, Conway, the others of their ilk, even those now departed, have most to benefit from rocking the boat for no reason other than it can open up opportunities for increased grifter activity. Making deals? THAT is what Drumph means when he says he makes deals. He doesn “make deals”, he destroys equilibrium and coherence so that he can advertise to other bottom feeders that the prey has been trapped. Sorry Faux news, the Green New Deal is a nonbinding resolution, meaning that even if it were to pass, it wouldn’t itself create any new programs. Jezz, these reptilian goons keep tripping over anything that threatens their big money corrupt corporate donors even nonbinding resolutions. I propose we study the Maori tradition of the Haka. Here is an example for a wedding, calling for truthfulness for a good marriage. If we don’t stop this now, it will be too late. In fact, it may already be.